Fabulous Weekend with Friends. Oh, and I Learned Stuff, Too. 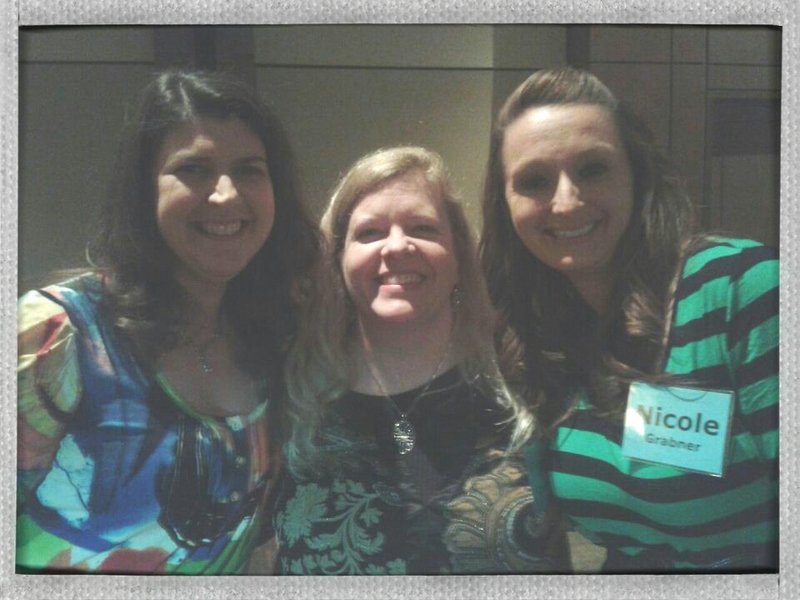 Last weekend I attended my second DFW Writers’ Workshop Conference (#DFWCon). It was a fabulous weekend! Not only because this conference had so many wonderful speakers and teachers, but also because of the amazing writers who were there. I was thrilled to see so many friends from last year’s conference, including my critique partners, Liza Caruthers and Nicole Grabner. I can’t imagine a better way to celebrate the anniversary of my introduction to social media by Kristen Lamb (who had a great class about blogging again–suddenly I’m hearing The Eagles sing “Hotel California”… <3) and WANA Tribe and blogging (yes, my blogiversary is happening soon) than with 2+ tables full of online friends who are even better and more impressive in person. I’ve never felt more at home with such a crazy, fun bunch of people. We picked up a few new friends, and we supported each other (and gave each other needed shoves) when it was time to volunteer in the improvisation class (thank you, Liza 😛 ) or to pitch manuscripts to literary agents in social situations (thank you, Debra Kristi and Julie Glover). Yep, I pitched my new middle grade manuscript to agents with mixed results, which shows how subjective this business is. I’m thrilled to be sending my pages to three different agents! Woohoo! The fourth agent will be missing out. 😉 Totally kidding! I very much enjoyed our conversation, which was my goal with every agent I met. So success all around! Oh! It turns out I have super powers. Jess Witkins said so. And Gloria Richard is hilarious and brought Jenny Hansen the Handerpants that she wrote a post about. And Piper Bayard and Tiffany A. White are the nicest people. Halfway through the weekend, I realized that I met Melinda VanLone last year at DFWCon while we were hiding in a corner during the social on Saturday night. LOL. She’s still awesome. There were many other great people, too! DFWCon 2013 was well worth the money. I missed a few sessions because of scheduling. Since that’s going to happen at any conference, it’s not a complaint, just wishful thinking for a Time Turner or a clone or recorded sessions (hint, hint). To all the people involved with DFWCon, you did an incredible job taking care of everyone and making everything run smoothly. Thank you!